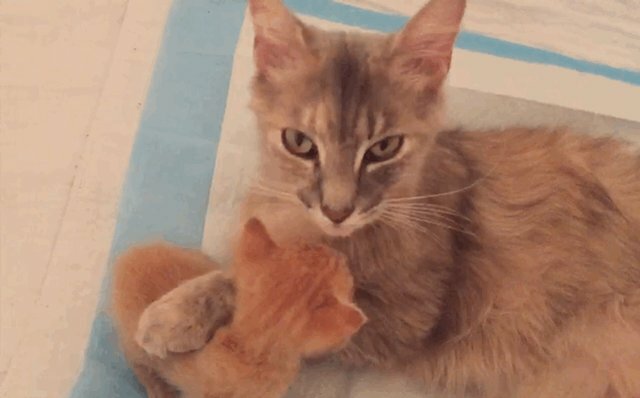 "The grieving mom immediately took to the tiny kitten, grooming him, cuddling him and letting him nurse." 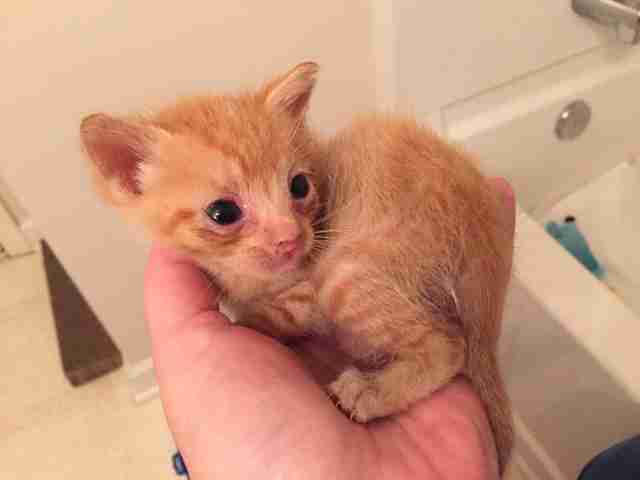 When a very sick newborn kitten was found all alone, he was brought to the Atlanta Humane Society (AHS) — and no one was sure if he would survive. 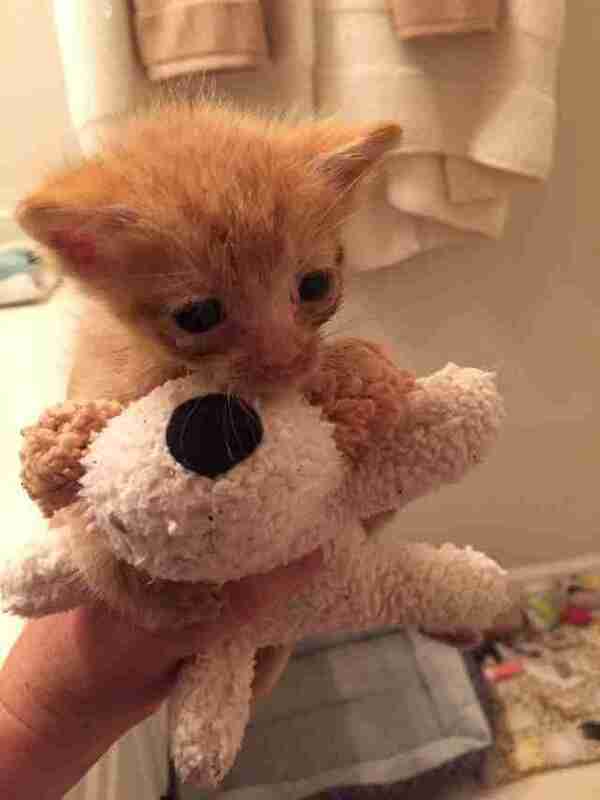 A foster parent for AHS rushed to the shelter to take the kitten in, but he seemed to need more than just human help. So the concerned staff had an idea. 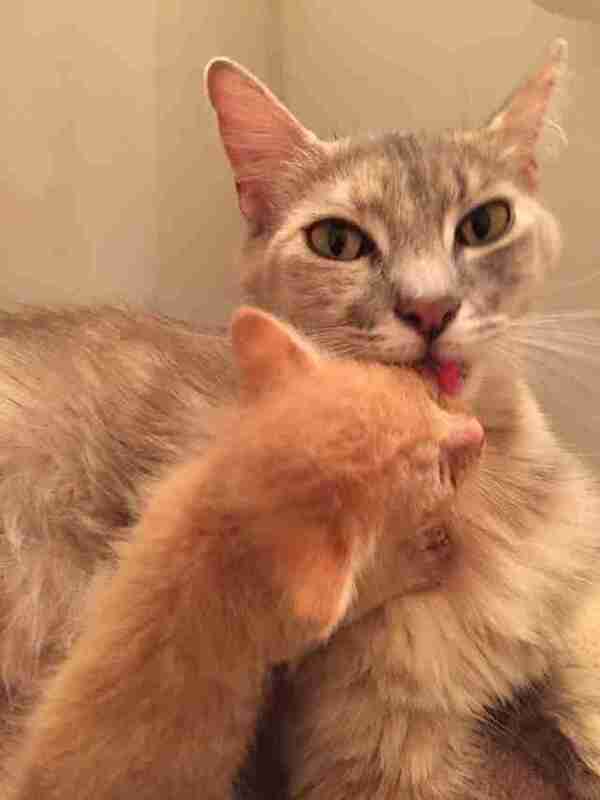 They introduced the little kitten to Ember, a mother cat who had recently come in with a litter of kittens. 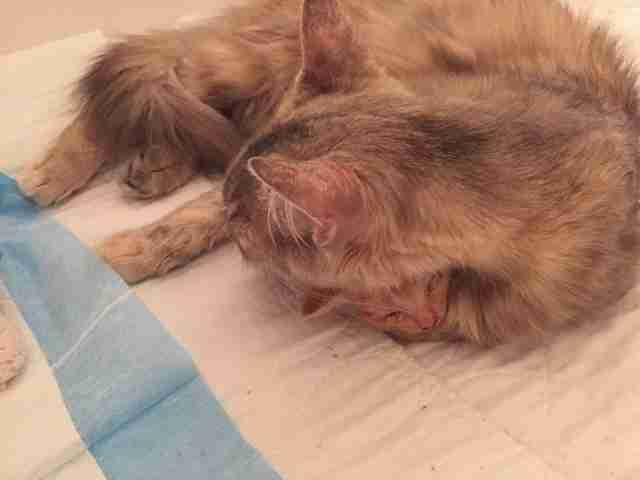 But her kittens were so sick that one by one they passed away. "She had lost all of her babies,” Christina Hill, director of marketing and communications for AHS, told The Dodo, ”but not her motherly instinct." 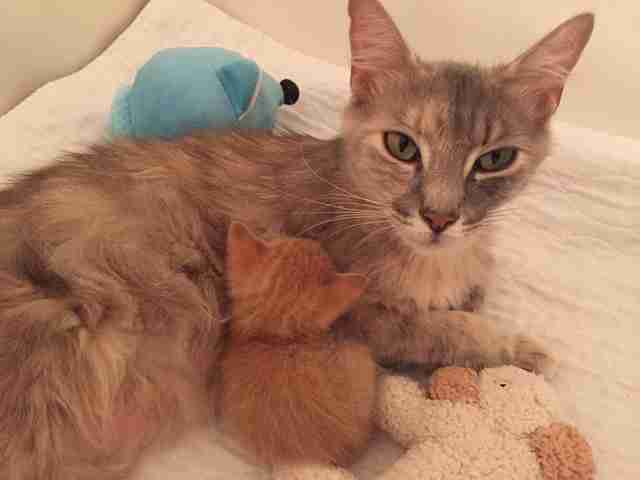 When Ember met the tiny, sick kitten, there was no question that he was going to be loved. 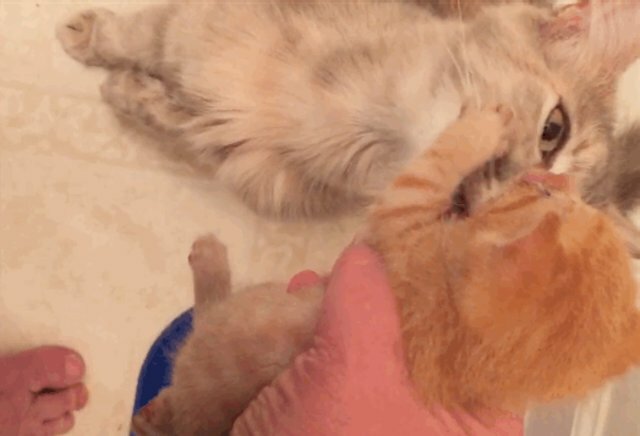 The kitten was named Flame. 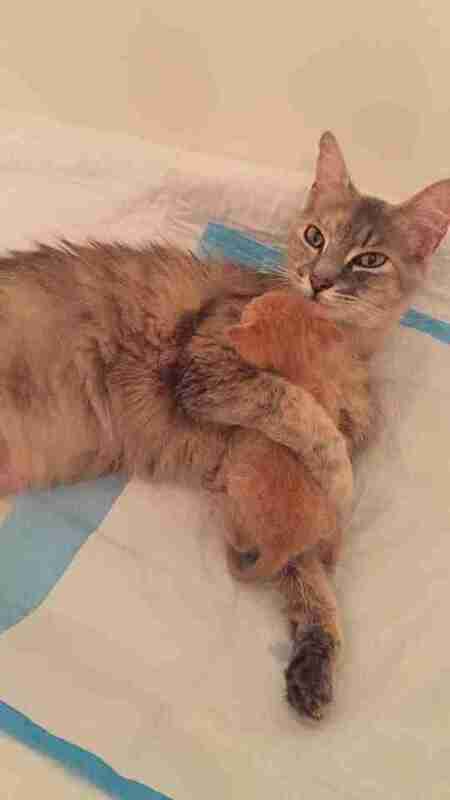 And his adoptive mother, Ember, probably saved his life. 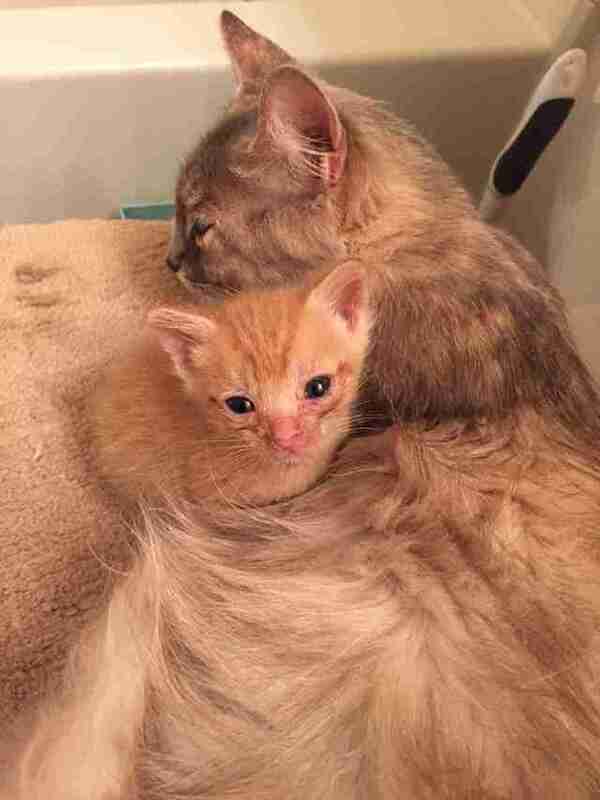 The pair is now in foster care. And within a month they will be both up for adoption, together or apart. 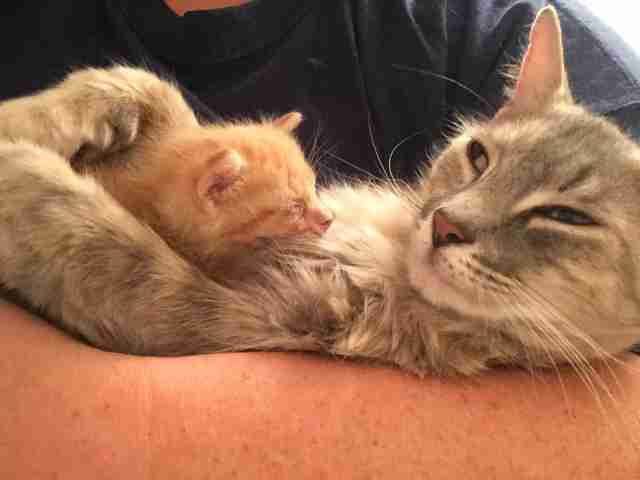 "It'd be absolutely adorable if they could be adopted together,” Hill said. “They would love it! 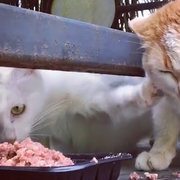 And two cats is always better than one." To adopt this little family, when they're ready, you can learn more about the adoption process here. To help the animals the AHS saves every day, you can make a donation.